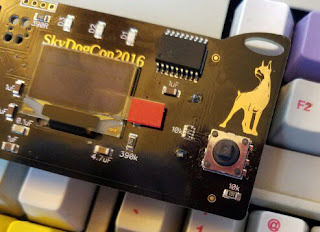 SkyDogCon is proud to announce that Brent White will be speaking again at SkyDogCon 7. Brent will be sharing his vast pentesting experience and try to keep us out of the potholes and problems he has seen. The sample of common mistakes that we are providing can cause problems on both sides of the table, but can ultimately end up affecting the client in a negative way. Allowing these to occur also prevents the ability to provide a realistic view of a company’s security posture. This could also lead to a future compromise, or even avoiding detection of a previous compromise—which can of course lead to a whole other set of issues for them. If you are interested in a more accurate view of your state of security, and wish to be better prepared against real world attacks, preventing any of these issues is certainly a step in the right direction! Brent is an Sr. Security Consultant at TrustedSec. He is the founding member of the Nashville DEF CON group (DC615) and is also the coordinator for the DEF CON conference “Groups” program. He has held the role of Web/Project Manager and IT Security Director at the headquarters of a global franchise company as well as Web Manager and information security positions for multiple television personalities and television shows on The Travel Channel.